The Whitehall theatre was the elite of all Elizabethan theatres. The building was designed by Indigo Jones who would later design the cockpit theatre. 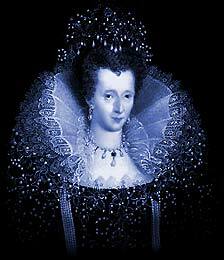 Queen Elizabeth I was a great patron of Theatre and she enjoyed watching the latest plays of the era. The Whitehall Theatre was sumptuous and it was here in the comfort and warmth of this very special theater that the Queen and her courtiers would command the acting troupes to perform the great plays of the era. The Paul's Boys (groups of young choristers from St. Paul's Cathedral, who also performed plays) were known to be a particular favourite of Queen Elizabeth and played at the Whitehall Theatre. The history of Theatres that were prominent during the life of Shakespeare is fascinating and we have provided the London Map detailing Theatres that Shakespeare would have most certainly known and visited and quite probably have acted in. We have researched the history and locations of many of these theatres and plotted their locations into a modern Map of London. The names of many of these theatres still live on in London as they are reflected in the names of many current London Roads. Although we are born in bred in London we were not aware of many of theses associations. The name of Whitehall is well known to most English people although it is generally now associated with the Government . These links with the past and Shakespeare's London are endless.